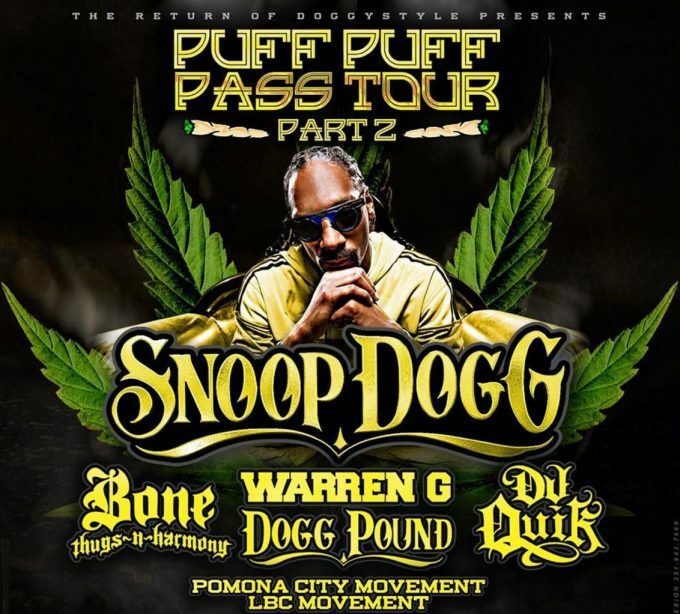 Snoop Dogg‘s Puff Puff Pass Tour Part 2 rolls through the Oakland tonight! Get in the mood with this playlist preview and see the rest of the tour dates below! WHY: Because these are LIVING LEGENDS of West Coast Hip-Hop. Have some respect.